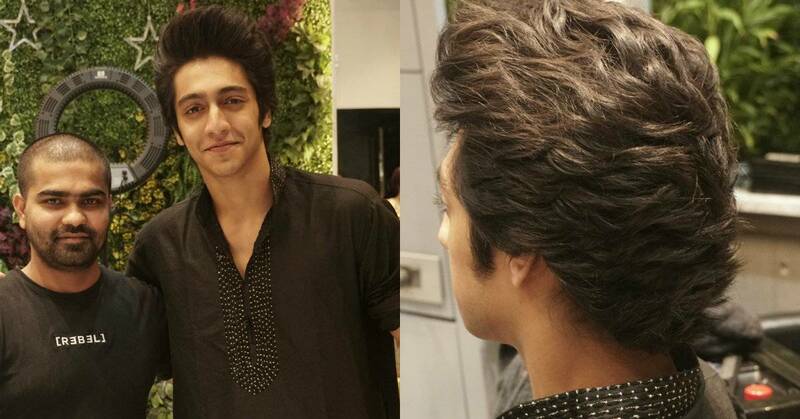 Ahaan Pandey Totally Rocks The Brush-Up Hairstyle! Bollywood actor Chunkey Panday's nephew Ahaan Panday has become a true-blue celebrity, one snippet of news at a time. From making his runway debut in August last year to stepping out with Shah Rukh Khan's daughter Suhana, you'll see him in the headlines. He was recently spotted at Bandra's luxury salon A'Kreations Hair & Beyond, post his haircut and hairstyling session. Ahaan looked super stlylish and dapper in a black kurta pyjama with styled hair by his stylist Ram Gore at A'Kreations Hair & Beyond. The brush-up hairstyle made Ahaan look funky yet classy with his hair held in place with a high-quality product to maximize volume and presence.